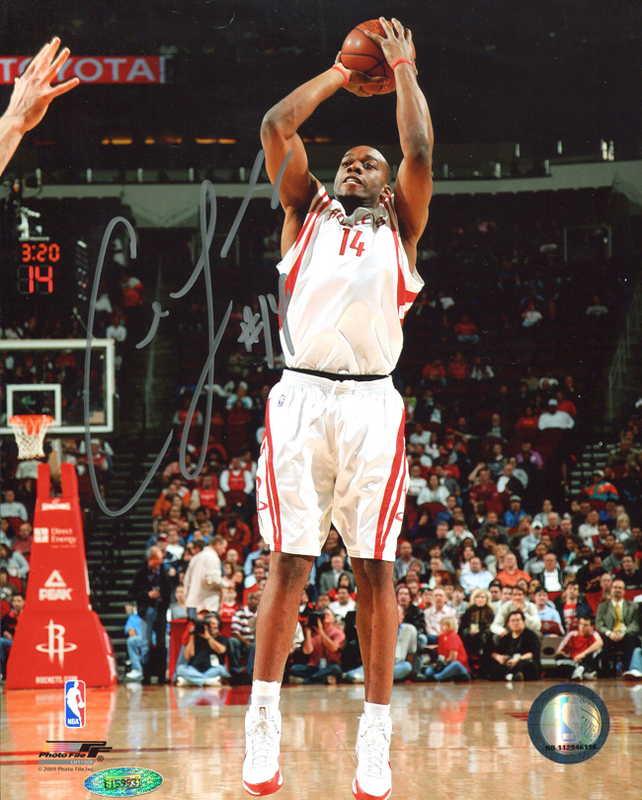 Carl Landry autographed, hand signed Houston Rockets 8x10 photo. Each hand signed photo includes an individually numbered, tamper evident hologram from TriStar guaranteeing its authenticity, which can be verified at www.tristarauthentic.com. Carl Landry has been a dangerous power forward in the NBA the last three years with his ability to put up high numbers on any night. In his first two seasons in the league, Carl helped the Houston Rockets get to the Playoffs, a feat he now hopes to accomplish with the Sacramento Kings.